The VPSN is an all-volunteer, member-supported organization. We receive no government or foundation funding and rely on donor contributions for all our activities. Please consider donating today to help us enhance Vancouver’s public spaces. Your contribution will go towards funding our workshops and activities, community events, free publications and lots more! Our guarantee: We don’t have overhead costs – so we’ll put 100% of your donation into making Vancouver’s urban environment a better, more liveable, more inclusive place. We are in the process of setting up a new online donation portal. In the meantime, please consider donating via post. 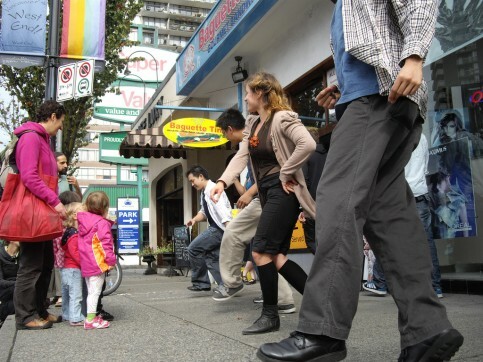 A donation of $25 or more ($50 for organizations) will also enable you to become a member-in-good-standing of the Vancouver Public Space Network non-profit society. This, in turn, allows you to vote at our Annual General Meeting, and participate in the affairs of our non-profit entity. The Vancouver Public Space Network is a registered society (under the BC Societies Act), however we are not a registered charity. We cannot issue tax receipts for donations at this time. Your support is a key factor that enabling us to do our work. Thank you for your help!